Airplanes require reliable parts and regular maintenance in order to fly safely. To keep an airplane in operating condition, aircraft and avionics equipment mechanics and technicians perform schedule maintenance, make repairs, and complete inspections to ensure flight travel is safe and on schedule. These workers analyze complex problems and develop safe, workable solutions quickly to get aircraft back up in the air, often in a matter of hours. Aircraft mechanics and service technicians are most often employed by the Air Transportation industry. With overall employment of aircraft and avionics equipment mechanics and technicians expected to grow 5-percent by 2026, job opportunities in the aviation maintenance field are available and high-paying. Air traffic is expected to increase gradually over the coming decade, and will require additional aircraft maintenance, including that performed on new aviation machines. With nearly 30-percent of the aviation mechanics workforce at or near the retirement age, new entrants into the field only make up 2-percent of the workforce population each year. However a report from the Aviation Technician Education Council (ATEC) found that 27-percent of the workforce is aged 64 and above. The large gap between the demand for workers and the numbers of the new employees entering the field, called a ‘skills gap’, is becoming problematic. Despite the crunch, there is a solution for new workers entering the industry, as well as those employees looking to improve their skillset — technical training. 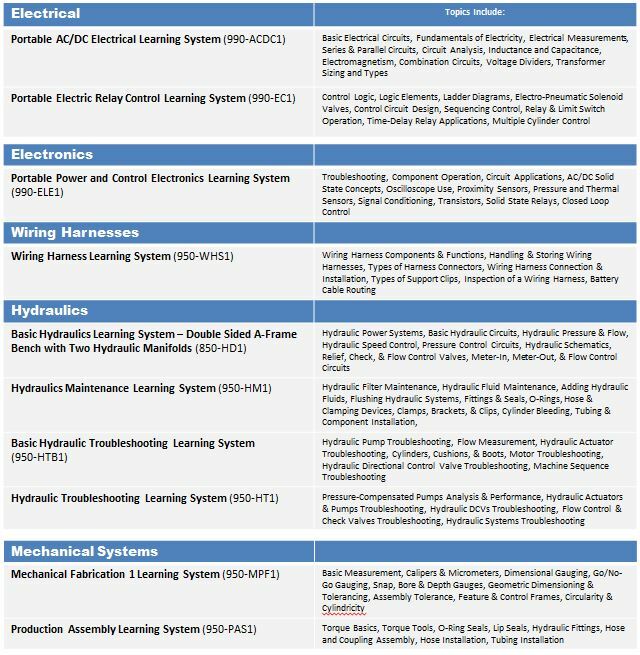 For learners to acquire the skills necessary for these high-paying positions, hands-on training in the fields of mechanical systems or wiring harnesses, for example, may be necessary. Fortunately, Amatrol has a solution for all things technical training. Since Aviation maintenance requires such a wide range of skills, Amatrol’s eLearning modules are the perfect pairing for any learner interested in acquiring valuable Aviation technical skills. In this program, Amatrol’s eLearning courses start with the basics of various technologies – including electrical, mechanical, and electronics – and build to more advanced topics, such as hydraulic troubleshooting. These courses provide a solid foundation for any Aviation training course, and ready students for future careers in the field. Using both portable and stand-alone training systems, and incorporating Amatrol’s proven eLearning curriculum, instructors using these courses teach learners the skills employers desperately need and desire. Amatrol’s eLearning offers flexible, self-directed technical training with comprehensive content and exceptional interactivity for practical skill development. Amatrol’s curriculum features a highly-interactive, multimedia format that includes stunning 3D graphics and videos, voiceovers of all text, and interactive exercises designed to appeal to learners with different learning styles. With 24 x 7 access, Amatrol’s eLearning program creates easy access to educational opportunities for technical skill development previously restricted to the classroom. The material is self-paced, making it ideal for individual use, traditional class settings, or a blended approach. 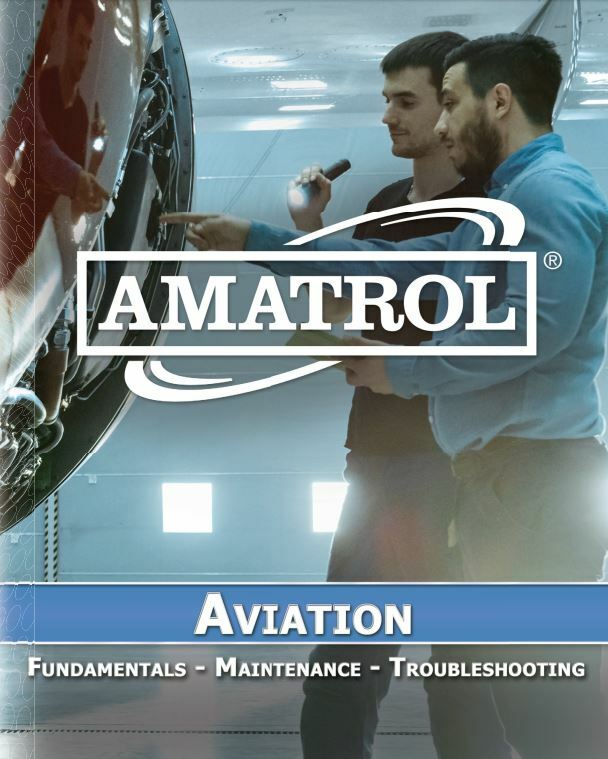 Amatrol’s offering of Aviation maintenance skill learning systems can meet your training needs through outstanding eLearning curriculum, portable PLC training solutions, or a full-scale, heavy-duty workstations. Amatrol’s products utilize Allen-Bradley and Siemens PLCs to meet your specific training needs, and are loaded with real-world, industrial components to enable learners to practice on the type of equipment they will encounter on the job.